For the calendar of religious holidays and periods, see Liturgical year. For this year's Gregorian calendar, see Leap year starting on Friday. In addition to the change in the mean length of the calendar year from 365.25 days (365 days 6 hours) to 365.2425 days (365 days 5 hours 49 minutes 12 seconds), a reduction of 10 minutes 48 seconds per year, the Gregorian calendar reform also dealt with the accumulated difference between these lengths. The canonical Easter tables were devised at the end of the third century, when the vernal equinox fell either on 20 March or 21 March depending on the year's position in the leap year cycle. As the rule was that the full moon preceding Easter was not to precede the equinox, the date was fixed at 21 March for computational purposes and the earliest date for Easter was fixed at 22 March. The Gregorian calendar reproduced these conditions by removing ten days. The Gregorian calendar is a solar calendar. A regular Gregorian year consists of 365 days, but as in the Julian calendar, in a leap year, a leap day is added to February. In the Julian calendar a leap year occurs every 4 years, but the Gregorian calendar omits 3 leap days every 400 years. In the Julian calendar, this leap day was inserted by doubling 24 February, and the Gregorian reform did not change the date of the leap day. In the modern period, it has become customary to number the days from the beginning of the month, and 29 February is often considered as the leap day. Some churches, notably the Roman Catholic Church, delay February festivals after the 23rd by one day in leap years. Gregorian years are identified by consecutive year numbers. The cycles repeat completely every 146,097 days, which equals 400 years. Of these 400 years, 303 are regular years of 365 days and 97 are leap years of 366 days. A mean calendar year is 365 days = 365.2425 days, or 365 days, 5 hours, 49 minutes and 12 seconds. A calendar date is fully specified by the year (numbered by some scheme beyond the scope of the calendar itself), the month (identified by name or number), and the day of the month (numbered sequentially starting at 1). Although the calendar year currently runs from 1 January to 31 December, at previous times year numbers were based on a different starting point within the calendar (see the "beginning of the year" section below). The Gregorian calendar was a reform of the Julian calendar. It was instituted in 1582 by Pope Gregory XIII, after whom the calendar was named, by papal bull Inter gravissimas dated 24 February 1582. The motivation for the adjustment was to bring the date for the celebration of Easter to the time of year in which it was celebrated when it was introduced by the early Church. Although a recommendation of the First Council of Nicaea in 325 specified that all Christians should celebrate Easter on the same day, it took almost five centuries before virtually all Christians achieved that objective by adopting the rules of the Church of Alexandria (see Easter for the issues which arose). Because the spring equinox was tied to the date of Easter, the Roman Catholic Church considered the seasonal drift in the date of Easter undesirable. The Church of Alexandria celebrated Easter on the Sunday after the 14th day of the moon (computed using the Metonic cycle) that falls on or after the vernal equinox, which they placed on 21 March. However, the Church of Rome still regarded 25 March (Lady Day) as the equinox (until 342), and used a different cycle to compute the day of the moon. In the Alexandrian system, since the 14th day of the Easter moon could fall at earliest on 21 March its first day could fall no earlier than 8 March and no later than 5 April. This meant that Easter varied between 22 March and 25 April. In Rome, Easter was not allowed to fall later than 21 April, that being the day of the Parilia or birthday of Rome and a pagan festival. The first day of the Easter moon could fall no earlier than 5 March and no later than 2 April. Easter was the Sunday after the 15th day of this moon, whose 14th day was allowed to precede the equinox. Where the two systems produced different dates there was generally a compromise so that both churches were able to celebrate on the same day. By the 10th century all churches (except some on the eastern border of the Byzantine Empire) had adopted the Alexandrian Easter, which still placed the vernal equinox on 21 March, although Bede had already noted its drift in 725—it had drifted even further by the 16th century. Worse, the reckoned Moon that was used to compute Easter was fixed to the Julian year by a 19-year cycle. That approximation built up an error of one day every 310 years, so by the 16th century the lunar calendar was out of phase with the real Moon by four days. In order to solve the problem, the University of Salamanca, Spain, sent a technical paper in 1515 but it was rejected. The Council of Trent approved a plan in 1563 for correcting the calendrical errors, requiring that the date of the vernal equinox be restored to that which it held at the time of the First Council of Nicaea in 325 and that an alteration to the calendar be designed to prevent future drift. This would allow for a more consistent and accurate scheduling of the feast of Easter. In 1577, a Compendium was sent to expert mathematicians outside the reform commission for comments. Some of these experts, including Giambattista Benedetti and Giuseppe Moleto, believed Easter should be computed from the true motions of the sun and moon, rather than using a tabular method, but these recommendations were not adopted. The reform adopted was a modification of a proposal made by the Calabrian doctor Aloysius Lilius (or Lilio). Lilius's proposal included reducing the number of leap years in four centuries from 100 to 97, by making three out of four centurial years common instead of leap years. He also produced an original and practical scheme for adjusting the epacts of the moon when calculating the annual date of Easter, solving a long-standing obstacle to calendar reform. Ancient tables provided the sun's mean longitude. 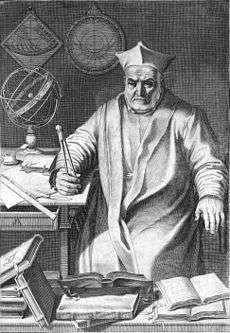 Christopher Clavius, the architect of the Gregorian calendar, noted that the tables agreed neither on the time when the sun passed through the vernal equinox nor on the length of the mean tropical year. Tycho Brahe also noticed discrepancies. The Gregorian leap year rule (97 leap years in 400 years) was put forward by Petrus Pitatus of Verona in 1560. He noted that it is consistent with the tropical year of the Alfonsine tables and with the mean tropical year of Copernicus (De revolutionibus) and Reinhold (Prutenic tables). The three mean tropical years in Babylonian sexagesimals as the excess over 365 days (the way they would have been extracted from the tables of mean longitude) were 14,33,9,57 (Alphonsine), 14,33,11,12 (Copernicus) and 14,33,9,24 (Reinhold). All values are the same to two places (14:33) and this is also the mean length of the Gregorian year. Thus Pitatus' solution would have commended itself to the astronomers. Lilius's proposals had two components. Firstly, he proposed a correction to the length of the year. The mean tropical year is 365.24219 days long. As the average length of a Julian year is 365.25 days, the Julian year is almost 11 minutes longer than the mean tropical year. The discrepancy results in a drift of about three days every 400 years. Lilius's proposal resulted in an average year of 365.2425 days (see Accuracy). At the time of Gregory's reform there had already been a drift of 10 days since the Council of Nicaea, resulting in the vernal equinox falling on 10 or 11 March instead of the ecclesiastically fixed date of 21 March, and if unreformed it would drift further. Lilius proposed that the 10-day drift should be corrected by deleting the Julian leap day on each of its ten occurrences over a period of forty years, thereby providing for a gradual return of the equinox to 21 March. Lilius's work was expanded upon by Christopher Clavius in a closely argued, 800-page volume. He would later defend his and Lilius's work against detractors. Clavius's opinion was that the correction should take place in one move, and it was this advice which prevailed with Gregory. The second component consisted of an approximation which would provide an accurate yet simple, rule-based calendar. Lilius's formula was a 10-day correction to revert the drift since the Council of Nicaea, and the imposition of a leap day in only 97 years in 400 rather than in 1 year in 4. The proposed rule was that years divisible by 100 would be leap years only if they were divisible by 400 as well. The 19-year cycle used for the lunar calendar was also to be corrected by one day every 300 or 400 years (8 times in 2500 years) along with corrections for the years that are no longer leap years (i.e., 1700, 1800, 1900, 2100, etc.). In fact, a new method for computing the date of Easter was introduced. 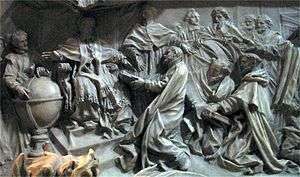 Although Gregory's reform was enacted in the most solemn of forms available to the Church, the bull had no authority beyond the Catholic Church and the Papal States. The changes that he was proposing were changes to the civil calendar, over which he had no authority. They required adoption by the civil authorities in each country to have legal effect. The bull Inter gravissimas became the law of the Catholic Church in 1582, but it was not recognised by Protestant Churches, Orthodox Churches, and a few others. Consequently, the days on which Easter and related holidays were celebrated by different Christian Churches again diverged. A month after having decreed the reform, the pope with a brief of 3 April 1582 granted to Antonio Lilio, the brother of Luigi Lilio, the exclusive right to publish the calendar for a period of ten years. The Lunario Novo secondo la nuova riforma printed by Vincenzo Accolti, one of the first calendars printed in Rome after the reform, notes at the bottom that it was signed with papal authorization and by Lilio (Con licentia delli Superiori... et permissu Ant(onii) Lilij). The papal brief was later revoked, on 20 September 1582, because Antonio Lilio proved unable to keep up with the demand for copies. Philip II of Spain decreed the change from the Julian to the Gregorian calendar, which affected much of Roman Catholic Europe, as Philip was at the time ruler over Spain and Portugal as well as much of Italy. In these territories, as well as in the Polish–Lithuanian Commonwealth (ruled by Anna Jagiellon) and in the Papal States, the new calendar was implemented on the date specified by the bull, with Julian Thursday, 4 October 1582, being followed by Gregorian Friday, 15 October 1582. The Spanish and Portuguese colonies followed somewhat later de facto because of delay in communication. Many Protestant countries initially objected to adopting a Catholic innovation; some Protestants feared the new calendar was part of a plot to return them to the Catholic fold. Britain and the British Empire (including the eastern part of what is now the United States) adopted the Gregorian calendar in 1752, followed by Sweden in 1753. Prior to 1917, Turkey used the lunar Islamic calendar with the Hegira era for general purposes and the Julian calendar for fiscal purposes. The start of the fiscal year was eventually fixed at 1 March and the year number was roughly equivalent to the Hegira year (see Rumi calendar). As the solar year is longer than the lunar year this originally entailed the use of "escape years" every so often when the number of the fiscal year would jump. From 1 March 1917 the fiscal year became Gregorian, rather than Julian. On 1 January 1926 the use of the Gregorian calendar was extended to include use for general purposes and the number of the year became the same as in other countries. Conversion from Julian to Gregorian dates. This section always places the intercalary day on 29 February even though it was always obtained by doubling 24 February (the bissextum (twice sixth) or bissextile day) until the late Middle Ages. The Gregorian calendar is proleptic before 1582 (assumed to exist before 1582). The following equation gives the number of days (actually, dates) that the Gregorian calendar is ahead of the Julian calendar, called the secular difference between the two calendars. A negative difference means the Julian calendar is ahead of the Gregorian calendar. where is the secular difference and is the year using astronomical year numbering, that is, use (year BC) − 1 for BC years. means that if the result of the division is not an integer it is rounded down to the nearest integer. 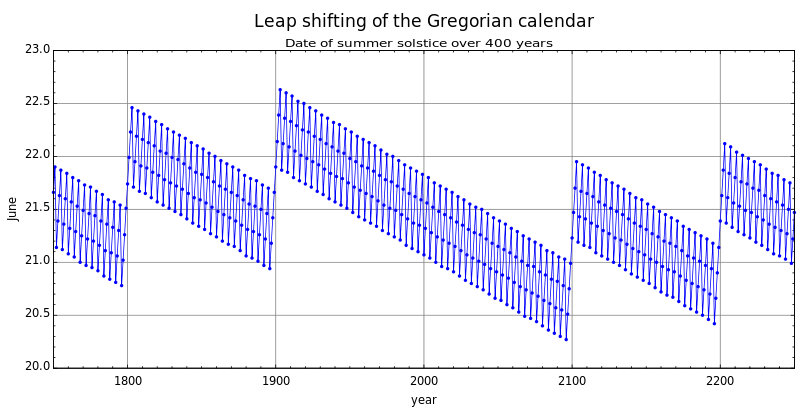 Thus during the 1900s, 1900/400 = 4, while during the −500s, −500/400 = −2. Up to 28 February in the calendar you are converting from add one day less or subtract one day more than the calculated value. Remember to give February the appropriate number of days for the calendar you are converting into. When you are subtracting days to move from Julian to Gregorian be careful, when calculating the Gregorian equivalent of 29 February (Julian), to remember that 29 February is discounted. Thus if the calculated value is −4 the Gregorian equivalent of this date is 24 February. The year used in dates during the Roman Republic and the Roman Empire was the consular year, which began on the day when consuls first entered office—probably 1 May before 222 BC, 15 March from 222 BC and 1 January from 153 BC. The Julian calendar, which began in 45 BC, continued to use 1 January as the first day of the new year. Even though the year used for dates changed, the civil year always displayed its months in the order January to December from the Roman Republican period until the present. During the Middle Ages, under the influence of the Catholic Church, many Western European countries moved the start of the year to one of several important Christian festivals—25 December (supposed Nativity of Jesus), 25 March (Annunciation), or Easter (France), while the Byzantine Empire began its year on 1 September and Russia did so on 1 March until 1492 when the new year was moved to 1 September. In common usage, 1 January was regarded as New Year's Day and celebrated as such, but from the 12th century until 1751 the legal year in England began on 25 March (Lady Day). So, for example, the Parliamentary record lists the execution of Charles I on 30 January as occurring in 1648 (as the year did not end until 24 March), although modern histories adjust the start of the year to 1 January and record the execution as occurring in 1649. Most Western European countries changed the start of the year to 1 January before they adopted the Gregorian calendar. For example, Scotland changed the start of the Scottish New Year to 1 January in 1600 (this means that 1599 was a short year). England, Ireland and the British colonies changed the start of the year to 1 January in 1752 (so 1751 was a short year with only 282 days) though in England the start of the tax year remained at 25 March (O.S. ), 5 April (N.S.) till 1800, when it moved to 6 April. Later in 1752 in September the Gregorian calendar was introduced throughout Britain and the British colonies (see the section Adoption). These two reforms were implemented by the Calendar (New Style) Act 1750. In some countries, an official decree or law specified that the start of the year should be 1 January. For such countries a specific year when a 1 January-year became the norm can be identified. In other countries the customs varied, and the start of the year moved back and forth as fashion and influence from other countries dictated various customs. Neither the papal bull nor its attached canons explicitly fix such a date, though it is implied by two tables of saint's days, one labelled 1582 which ends on 31 December, and another for any full year that begins on 1 January. It also specifies its epact relative to 1 January, in contrast with the Julian calendar, which specified it relative to 22 March. The old date was derived from the Greek system: the earlier Supputatio Romana specified it relative to 1 January. "Old Style" (OS) and "New Style" (NS) are sometimes added to dates to identify which system is used in the British Empire and other countries that did not immediately change. Because the Calendar Act of 1750 altered the start of the year, and also aligned the British calendar with the Gregorian calendar, there is some confusion as to what these terms mean. They can indicate that the start of the Julian year has been adjusted to start on 1 January (NS) even though contemporary documents use a different start of year (OS); or to indicate that a date conforms to the Julian calendar (OS), formerly in use in many countries, rather than the Gregorian calendar (NS). Extending the Gregorian calendar backwards to dates preceding its official introduction produces a proleptic calendar, which should be used with some caution. For ordinary purposes, the dates of events occurring prior to 15 October 1582 are generally shown as they appeared in the Julian calendar, with the year starting on 1 January, and no conversion to their Gregorian equivalents. For example, the Battle of Agincourt is universally considered to have been fought on 25 October 1415 which is Saint Crispin's Day. Usually, the mapping of new dates onto old dates with a start of year adjustment works well with little confusion for events that happened before the introduction of the Gregorian calendar. But for the period between the first introduction of the Gregorian calendar on 15 October 1582 and its introduction in Britain on 14 September 1752, there can be considerable confusion between events in continental western Europe and in British domains in English language histories. Events in continental western Europe are usually reported in English language histories as happening under the Gregorian calendar. For example, the Battle of Blenheim is always given as 13 August 1704. Confusion occurs when an event affects both. For example, William III of England arrived at Brixham in England on 5 November 1688 (Julian calendar), after setting sail from the Netherlands on 11 November 1688 (Gregorian calendar). Shakespeare and Cervantes seemingly died on exactly the same date (23 April 1616), but Cervantes predeceased Shakespeare by ten days in real time (as Spain used the Gregorian calendar, but Britain used the Julian calendar). This coincidence encouraged UNESCO to make 23 April the World Book and Copyright Day. For dates before the year 1, unlike the proleptic Gregorian calendar used in the international standard ISO 8601, the traditional proleptic Gregorian calendar (like the Julian calendar) does not have a year 0 and instead uses the ordinal numbers 1, 2, … both for years AD and BC. Thus the traditional time line is 2 BC, 1 BC, AD 1, and AD 2. ISO 8601 uses astronomical year numbering which includes a year 0 and negative numbers before it. Thus the ISO 8601 time line is −0001, 0000, 0001, and 0002. A language-independent alternative used in many countries is to hold up one's two fists with the index knuckle of the left hand against the index knuckle of the right hand. Then, starting with January from the little knuckle of the left hand, count knuckle, space, knuckle, space through the months. A knuckle represents a month of 31 days, and a space represents a short month (a 28- or 29-day February or any 30-day month). The junction between the hands is not counted, so the two index knuckles represent July and August. This method also works by starting the sequence on the right hand's little knuckle, then continuing towards the left. It can also be done using just one hand: after counting the fourth knuckle as July, start again counting the first knuckle as August. A similar mnemonic can be found on a piano keyboard: starting on the key F for January, moving up the keyboard in semitones, the black notes give the short months, the white notes the long ones. April: The Romans thought that the name Aprilis derived from aperio, aperire, apertus, a verb meaning "to open". Varro and Cincius both reject the connection of the name to Aphrodite, and the common Roman derivation from aperio may be the correct one. In conjunction with the system of months there is a system of weeks. A physical or electronic calendar provides conversion from a given date to the weekday, and shows multiple dates for a given weekday and month. 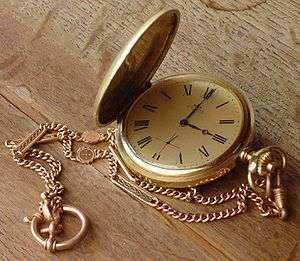 Calculating the day of the week is not very simple, because of the irregularities in the Gregorian system. When the Gregorian calendar was adopted by each country, the weekly cycle continued uninterrupted. For example, in the case of the few countries that adopted the reformed calendar on the date proposed by Gregory XIII for the calendar's adoption, Friday, 15 October 1582, the preceding date was Thursday, 4 October 1582 (Julian calendar). Opinions vary about the numbering of the days of the week. ISO 8601, in common use worldwide, starts with Monday=1; printed monthly calendar grids often list Mondays in the first (left) column of dates and Sundays in the last. Software often starts with Sunday=0, which places Sundays in the left column of a monthly calendar page. On time scales of thousands of years, the Gregorian calendar falls behind the astronomical seasons because the slowing down of the Earth's rotation makes each day slightly longer over time (see tidal acceleration and leap second) while the year maintains a more uniform duration. This image shows the difference between the Gregorian calendar and the astronomical seasons. The y-axis is the date in June and the x-axis is Gregorian calendar years. Each point is the date and time of the June solstice in that particular year. The error shifts by about a quarter of a day per year. Centurial years are ordinary years, unless they are divisible by 400, in which case they are leap years. This causes a correction in the years 1700, 1800, 1900, 2100, 2200, and 2300. 1 2 See Wikisource English translation of the (Latin) 1582 papal bull Inter gravissimas. ↑ Nineteen-Year Cycle of Dionysius. Introduction and first argumentum. ↑ The last major Christian region to accept the Alexandrian rules was the Carolingian Empire (most of Western Europe) during 780–800. The last monastery in England to accept the Alexandrian rules did so in 931, and a few churches in southwest Asia beyond the eastern border of the Byzantine Empire continued to use rules that differed slightly, causing four dates for Easter to differ every 532 years. ↑ Pedersen (1983), pp. 42–43. ↑ For example, in the Julian calendar, at Rome in 1550, the March equinox occurred at 11 Mar 6:51 AM local mean time. "Seasons calculator", Time and Date AS, 2014. ↑ Ziggelaar (1983), pp. 211, 214. ↑ See, for example,Tabule illustrissimi principis regis alfonsii, Prague 1401 −4 (Latin). A full set of Alphonsine Tables (including tables for mean motions, conjunctions of sun and moon, equation of time, spherical astronomy, longitudes and latitudes of cities, star tables, eclipse tables). ↑ For an example of the information provided see Jacques Cassini, Tables astronomiques du soleil, de la lune, des planetes, des etoiles fixes, et des satellites de Jupiter et de Saturne, Paris 1740, available at (go forward ten pages to Table III on p. 10). ↑ Dreyer, J L E (2014). Tycho Brahe. Cambridge. p. 52. ISBN 978-1-108-06871-0. He remarks that both the Alphonsine and the Prutenic Tables are several hours wrong with regard to the time of the equinoxes and solstices. ↑ North, J (1989). The Universal frame: historical essays in astronomy, natural philosophy and scientific method. London. p. 29. ISBN 0-907628-95-8. He noted on one occasion that the Alphonsine tables differed from the Prutenic by nineteen hours as to the time of the vernal equinox of 1588. ↑ Meeus and Savoie (1992). ↑ Mezzi, E., and Vizza, F., Luigi Lilio Medico Astronomo e Matematico di Cirò, Laruffa Editore, Reggio Calabria, 2010, p. 14; p. 52, citing as primary references: Biblioteca Nazionale Centrale die Firenze, Magl. 5.10.5/a, ASV A.A., Arm. I‑XVII, 5506, f. 362r. ↑ Blackburn & Holford-Strevens (1999), p. 788. 1 2 Blackburn & Holford-Strevens (1999), p. 784. ↑ "Roman Dates: Eponymous Years". Tyndalehouse.com. Retrieved 14 September 2010. ↑ Tuesday 31 December 1661, The Diary of Samuel Pepys "I sat down to end my journell for this year, ..."
↑ "House of Commons Journal Volume 8, 9 June 1660 (Regicides)". British History Online. Retrieved 18 March 2007. 1 2 Death warrant of Charles I web page of the UK National Archives. A demonstration of New Style meaning Julian calendar with a start of year adjustment. ↑ In Scotland the legal start of year had been moved to 1 January in 1600 (Mike Spathaky. Old Style New Style dates and the change to the Gregorian calendar); and as Ireland was not part of the union of Great Britain so separate legislation was needed for Ireland. ↑ Spathaky, Mike Old Style New Style dates and the change to the Gregorian calendar. "increasingly parish registers, in addition to a new year heading after 24th March showing, for example '1733', had another heading at the end of the following December indicating '1733/4'. This showed where the New Style 1734 started even though the Old Style 1733 continued until 24th March. ... We as historians have no excuse for creating ambiguity and must keep to the notation described above in one of its forms. It is no good writing simply 20th January 1745, for a reader is left wondering whether we have used the Old or the New Style reckoning. The date should either be written 20th January 1745 OS (if indeed it was Old Style) or as 20th January 1745/6. The hyphen (1745-6) is best avoided as it can be interpreted as indicating a period of time." ↑ Stockton, J.R. Date Miscellany I: The Old and New Styles "The terms 'Old Style' and 'New Style' are now commonly used for both the 'Start of Year' and 'Leap Year' [(Gregorian calendar)] changes (England & Wales: both in 1752; Scotland: 1600, 1752). I believe that, properly and historically, the 'Styles' really refer only to the 'Start of Year' change (from March 25th to January 1st); and that the 'Leap Year' change should be described as the change from Julian to Gregorian." ↑ Scullard, Festivals and Ceremonies of the Roman Republic, p. 96; Forsythe, Time in Roman Religion, p. 10. ↑ "Maia Maiestas, Goddess of Spring, Maia, Majesty, earth goddess, great goddess, earth mother, mother earth, Mercury, fertility goddess pagan gods and goddesses Roman Gods and goddesses wiccan wicca paganism pagan Thalia Took". Gregory XIII. (2002 ). Inter Gravissimas(subscription required) (W. Spenser & R. T. Crowley, Trans.). International Organization for Standardization.